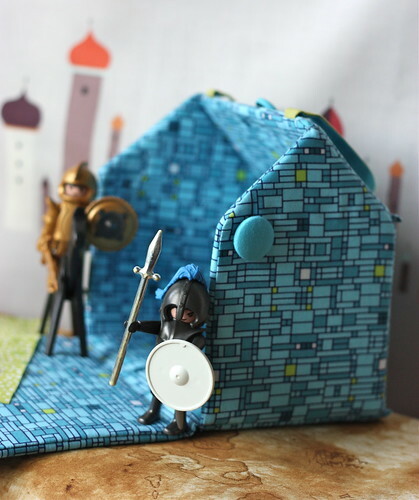 Welcome to Week 41 of the One Yard Wonders Sew Along! Jacqui machine stitched the embroidery lines using a heavy thread with a long stitch. She brought the loose threads to the wrong side and tied them off. The top shell is curved. 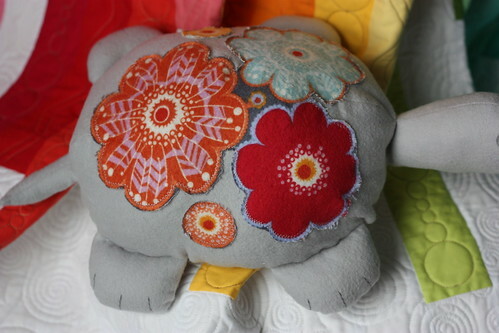 Use a pressing ham to iron on the appliques. A contrasting fabric for the shell top would be fun option in place of appliques. The pattern piece for the head seemed a bit large for the body. Jacqui reshaped the head by stitching the area between the nose and top of the head further in. She shortened the neck by 1 1/2 inches. The eyes are from carolszoo.com. After Jacqui stuffed each of the appendages, she sewed them closed using a scant seam allowance. 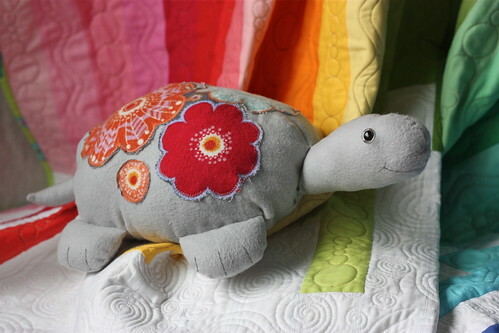 Sew all the appendages to the top shell before sewing the top to the bottom. Jacqui found the opening between the front and back feet too small to turn the head through. She created an opening between the head and the front foot. To give the head a lift, Jacqui tacked the head to the body. 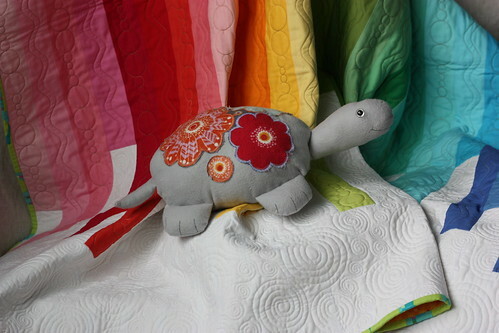 The Line Art Quilt is a colorful “home” for Patches! 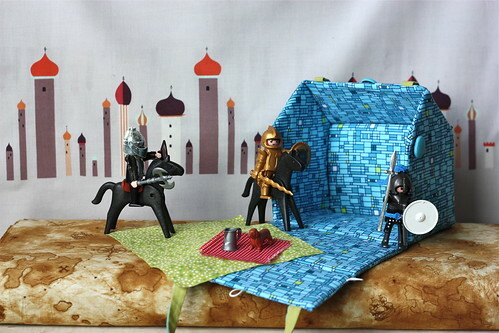 Cindy chose Jessica Levitt Kingdom Castle Wall Blue. Most important tip – Use a zipper foot to sew closely around the edges of the plastic canvas in part 2, 5 & 6. Part 3 & 4 – With fabric pieces right sides facing, Cindy placed the plastic canvas on top as a template and drew a line around each piece. Sew just outside the line to give a little extra room for the batting. A heavy weight stabilizer such as Peltex would work well in place of plastic canvas. Cindy used the thin batting as recommended. Thick batting may have a different outcome. Cindy liked the look of 3 buttons on her house. 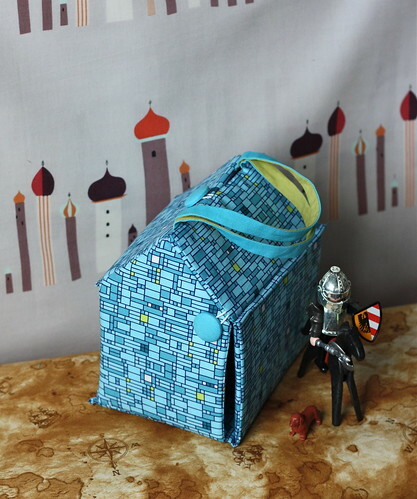 The handles were stitched out of fabric from Cindy’s stash. This new “Castle” will be perfect for Cindy’s grandson.